From creative poutine to mouthwatering pot pies, here’s where to find meals that’ll make you feel good this season. As the temperatures begin to drop and the days get shorter, we all seek our creature comforts: cozy sweaters, warm mugs of tea and quiet evenings spent curled up on the couch. 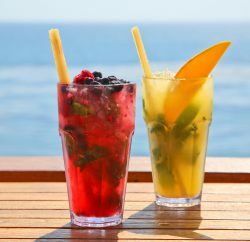 And, whether we attribute it to a physiological response to colder temperatures, our appetites revving up just in time for the holidays, or the fact that bikini season is well behind us, nothing soothes and satisfies like food this time of year. 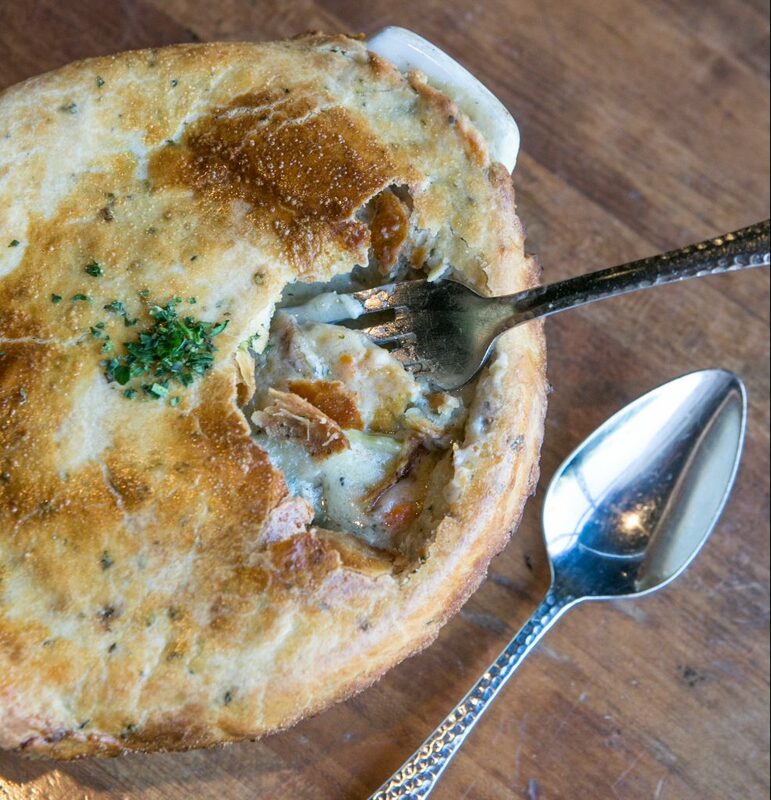 Fortunately, comfort foods are staples on countless menus around town. And, while they may not be able to emulate your mom’s home cooking, many local chefs are taking an elevated approach when it comes to serving up the classics (think: mac and cheese made with high-end Italian pasta and buttermilk-and-herb-marinated fried chicken). Head to one of these popular local spots this season and savor the rich flavors and happiness brought on by your favorite indulgent meal. 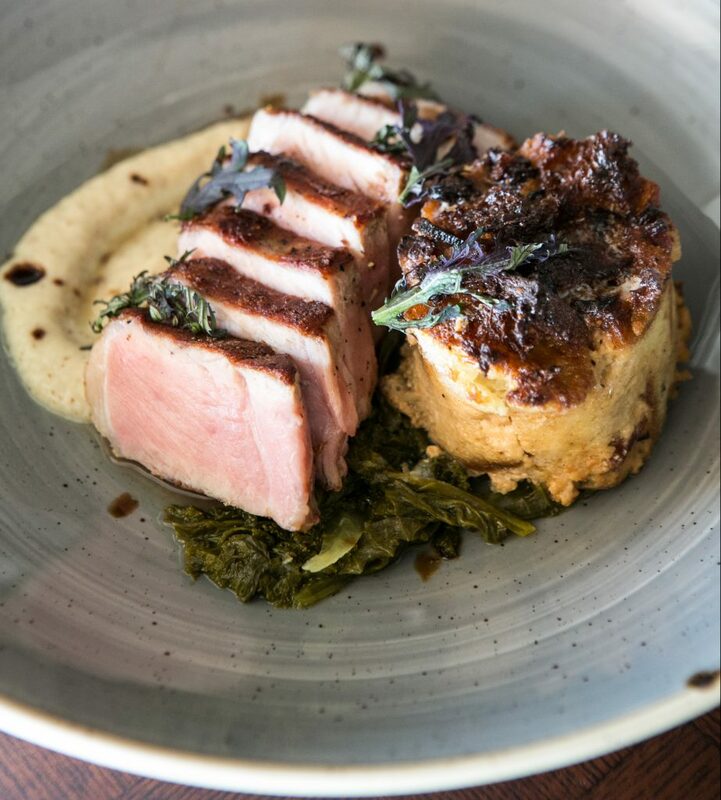 A hearty, 9-ounce pork chop is the centerpiece of an elevated comfort food option that The Loft’s chef Michael Campbell refers to as a “holiday-inspired dish,” reminiscent of figgy bread pudding. 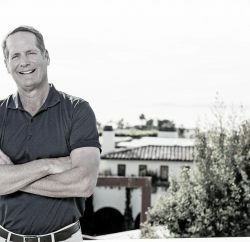 Campbell loves the combination of pork and figs, and says that he tends to create a dish with some variation of the duo each year. Made with a creamy fondue sauce that combines five different cheeses—Boursin, mascarpone, Parmigiano-Reggiano, smoked Gouda and Point Reyes blue—as well as chives, garlic, basil and parsley, Selanne Steak Tavern’s mac and cheese is anything but basic. 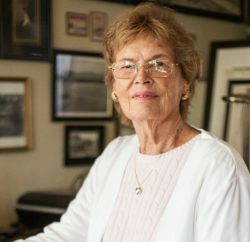 “We use a very high-end Italian pasta that has a rustic texture, which holds sauces beautifully. Also, by using a combination of different cheeses, we create [a] very unique flavor profile for this dish,” explains Executive Chef Joshua Severson. 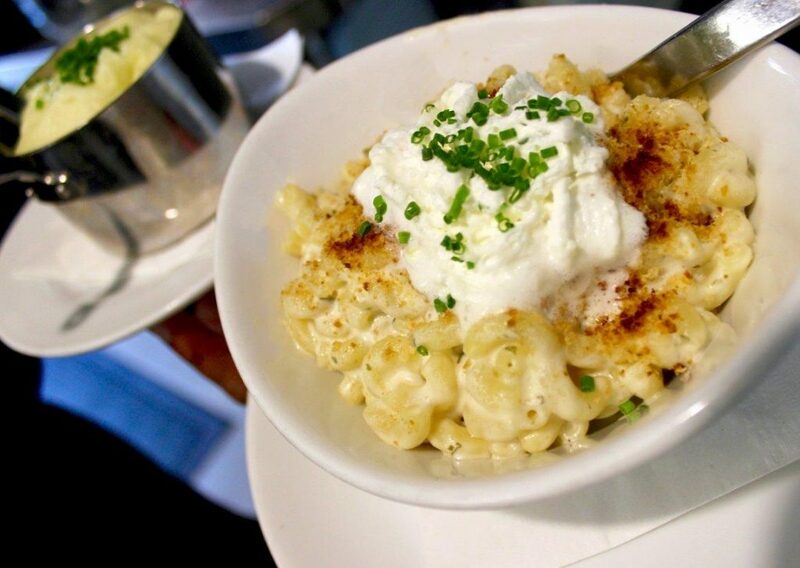 The mac and cheese is also unique in that it’s served with a crispy brioche crumb topping and a dollop of house-made Parmesan foam, which is created through a process that involves steeping cheese rinds in heavy cream and milk, as well as the use of a highly pressurized nitrogen canister. 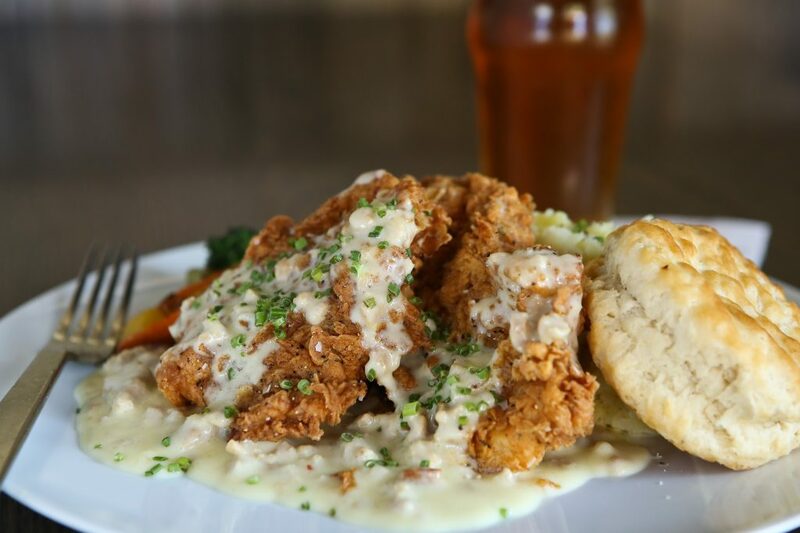 Made entirely from scratch daily, Rosemary’s Chicken & Biscuits at Reunion Kitchen & Drink is the eatery’s best-selling dish, according to owner Scott McIntosh. To create the popular entree—also available in a smaller portion size for lunch—chicken breasts are marinated in a buttermilk-and-herb sauce for 24 hours, and then hand-battered and fried to order. The chicken is paired with mashed potatoes made with rich cream and butter, all of which is topped with a house-made sausage gravy and complemented with a side of roasted vegetables, a warm biscuit and house-made whipped honey butter. This poutine incorporates aged cheddar rather than cheese curds. When chef-owner Ryan Adams opened Three Seventy Common Kitchen & Drink’s doors in October 2011, he knew he wanted to add a cold-weather classic, poutine, to his menu. But Adams takes the Canadian dish, which typically comprises french fries, cheese curds and brown gravy, to new heights by adding an unexpected ingredient: short ribs. The eatery uses an all-natural beef that’s well seasoned before it’s seared and braised for more than four hours at 200 degrees. Once it’s shredded and strained—with those juices being used to make the gravy—the meat is combined with leeks, garlic and shallots, all of which is sauteed and then deglazed with red wine. 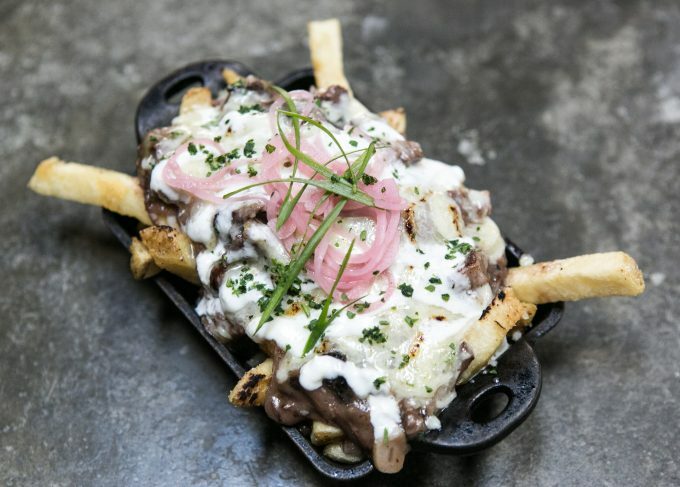 The dish is served in a cast-iron skillet and includes house-made, double-blanched french fries, topped with aged cheddar cheese, horseradish creme fraiche, green onion, pickled red onion and an optional fried egg.